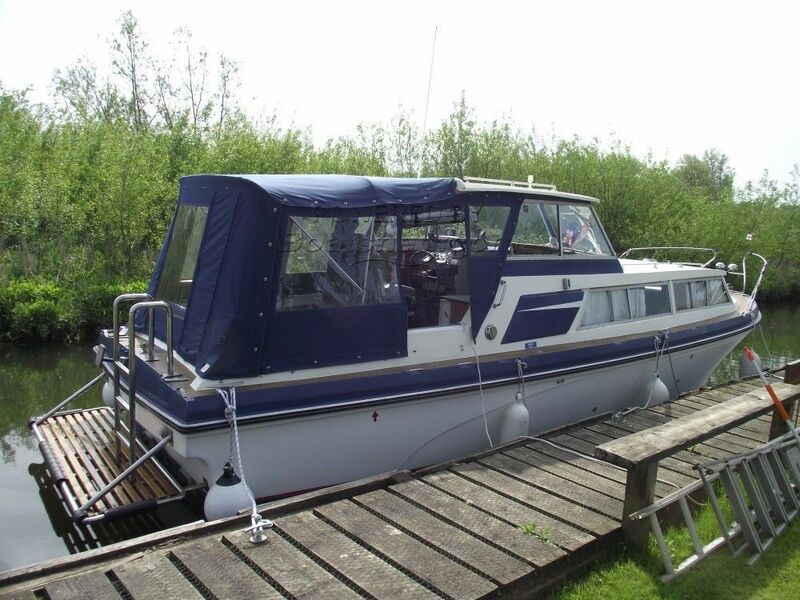 A very well presented Princess 32 that has been very well cared for over the past 18 years by her current owner. She is powered by Twin Volvo diesel engines. Externally she is in original gelcoat and internally she has been modified to provide a full size fully equipped galley. She has had new windows in the canopy this year. She is out of the water every year over winter and anti fouled prior to re launch. This Princess 32 Aft Cockpit has been personally photographed and viewed by Gary of Boatshed Norfolk. Click here for contact details.